Prepare your mouse for some clicking action! 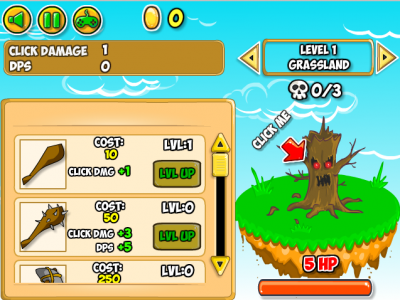 Defeat some feisty, evil creatures and collect tons of gold in the funny idle game Clicker Monsters. All you have to do is to click. Kill the monsters, loot their treasures and upgrade your equipment by clicking. Much fun!